With a total height of 51” or 36″, the 4″ Paramount Decorative Bollards are the only decorative bollard covers that fit over 4” steel pipe but only fit a max pipe height of 48″ (with flare) or 32″ (without flare). 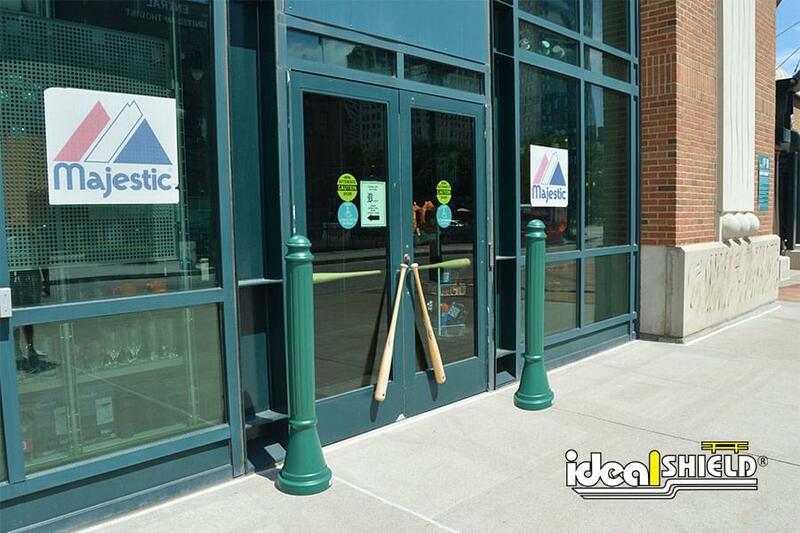 The 4″ Paramount Decorative Bollard Covers are made of 1/4″ nominal wall thickness polyethylene thermoplastic (LDPE) and is offered in any color to match your building exterior or corporate branding needs. The classic design will allow you to add an affordable layer of elegance to your entryways, parking lots, or storefronts. 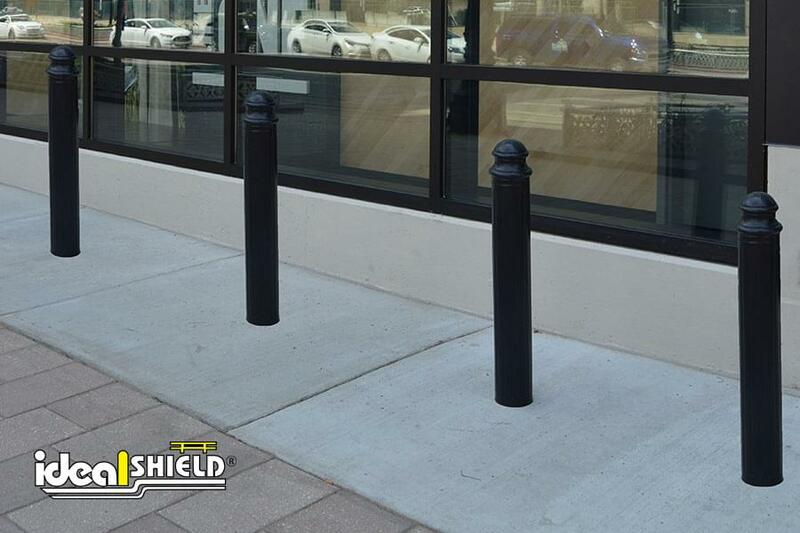 Ideal Shield Decorative Bollard Covers enhance the aesthetics of security posts and steel bollards. Our Decorative Covers are easily installed and are a cost-effective alternative to expensive cast iron, stainless steel or concrete bollards. 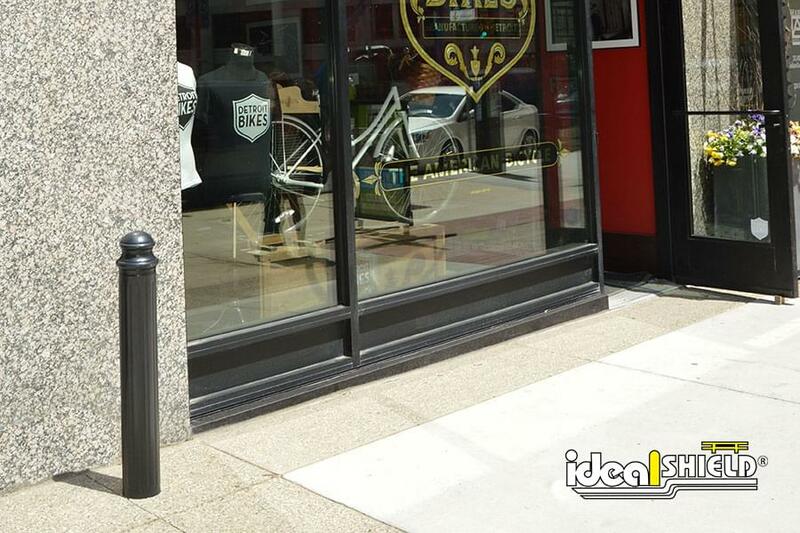 Check out our full line of Decorative Bollard Covers today! Only Decorative Bollard Cover that fits 4″ diameter pipe. 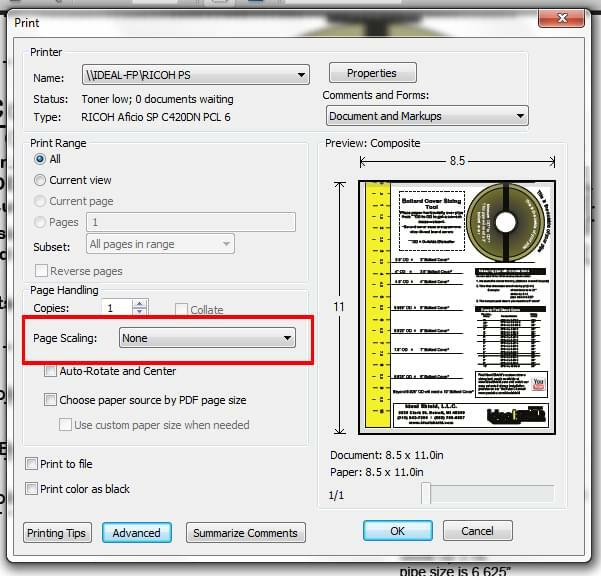 Click Here to download the Bollard Cover Measuring Tool Click here for printing information. 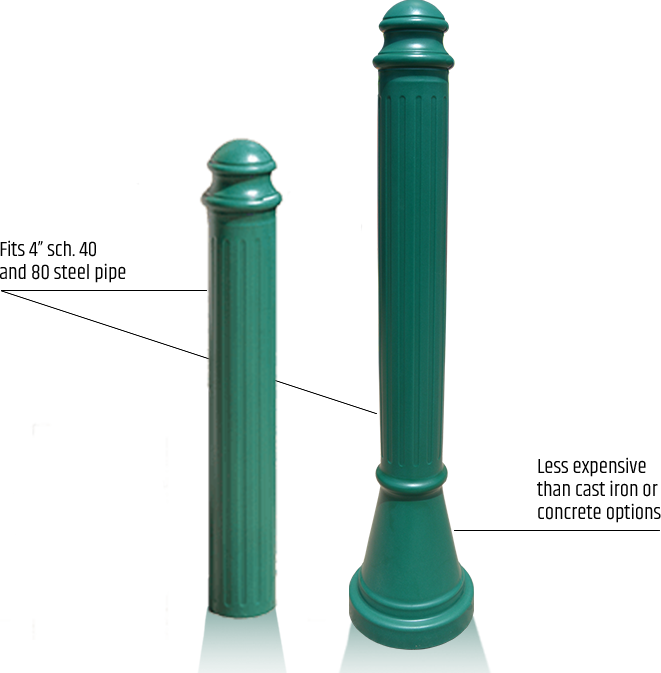 Our Decorative Bollards Covers are made to fit over 6’’ pipe or 10’’ pipe. We have four styles that fit over 6’’ pipe and three styles that fit over 10’’. We do offer inserts to fit over smaller pipe sizes in order for the bollard cover to fit secure. How does the insert work? The only information we need from you is the size of your pipe you want to cover. When you receive your material, the insert is inside of the bollard cover. All you have to do is slide your deco cover over your steel pipe. How do I determine what bollard cover size to order? Pipe is measured by inside diameter. For example, 6” pipe has an outside diameter of 6 5/8”. Our bollard sizes coincide with the pipe’s outside diameter, ex. our 6” cover has an inside diameter of about 6 7/8” to fit over the 6 5/8” outside diameter of a 6” pipe. 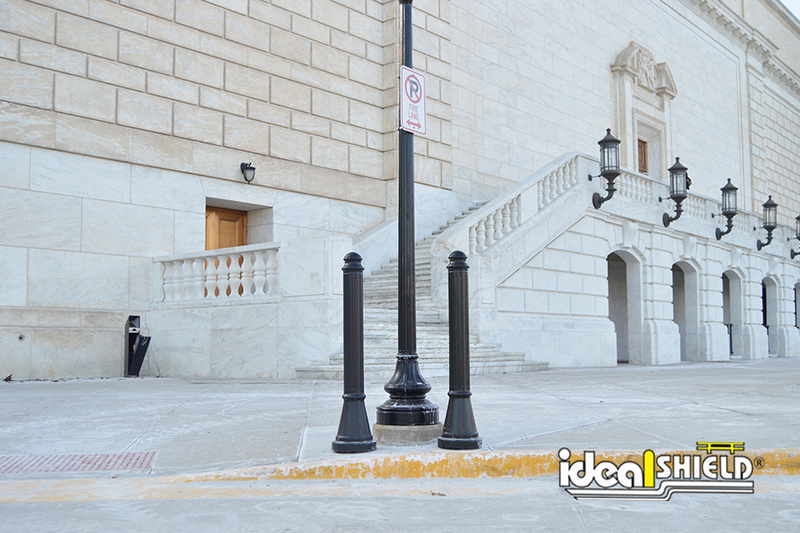 Each bollard cover is delivered with two pieces of our patented foam neoprene tape. Apply the neoprene tape around the circumference of the steel bollard 3? down from the top of the post and 3? up from the bottom of the post. Once the tape is applied, slide the bollard cover over, eliciting the sound of air squeezing out between the post and sleeve as it creates a vacuum seal. 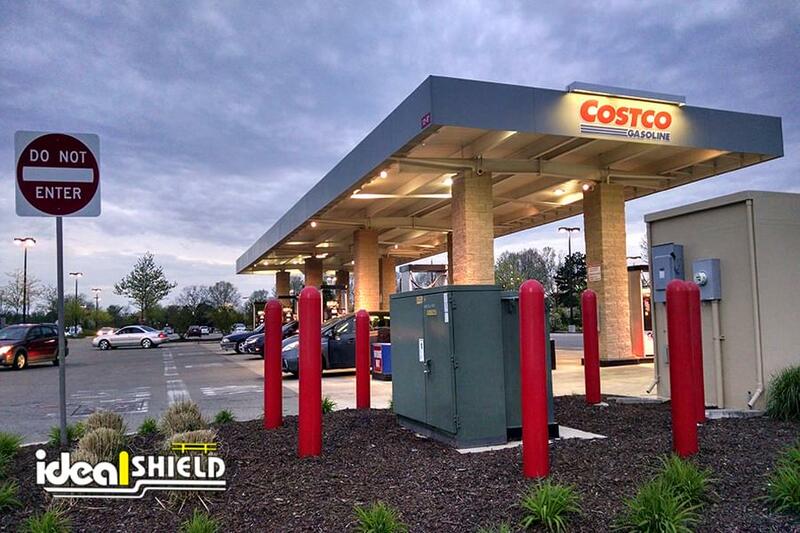 If the above directions are followed correctly, the Ideal Shield Bollard Cover should fit tight with no gaps. How does the custom color process work? All we need is a Pantone color number. We have done Custom Colors for Fortune 500 companies with great results. What is the lead time on custom colors? Lead time will depend on if we have matched the color before. We have over 300 color matches in inventory. Lead time is 2-3 weeks if matched and 4-6 weeks if it’s a custom match.